JSC “SAF Tehnika”, as the co-operation partner of Latvian IT Cluster, implements the project “IT CEAP – Information Technology Cluster’s Embassies, Academy, Platforms” (in Latvian „IT KVAP – Informācijas tehnoloģiju klastera vēstniecības, akadēmija, platformas”) co-financed by the European Regional Development Fund (ERDF). The aim of the project is to improve competitiveness and increase exports of IT enterprises and sector by strengthening co-operation ties among IT companies and research and educational institutions, in order to collectively eliminate the gap between the supply and demand in the area of IT-specific competencies, establish a network of IT cluster’s embassies/agents abroad, as well as to promote the improvement of industry-specific technological platforms. 6) Exploring and development of new technologies at the global level. Project timeframe: July 1, 2012 – December 31, 2014. The project is being implemented within the framework of Activity 2.3.2.3. “Cluster programme” of the 2nd Operational Programme “Entrepreneurship and Innovations”. Project ID: KAP/2.3.2.3.0/12/01/002, Agreement No L-KAP-12-0008 signed by “Latvian IT Cluster” and the state institution “The Investment and Development Agency of Latvia” (LIAA). Please see attached corrected file of SAF Tehnika Yearbook 2011/2012. (scanned KPMG Baltics SIA Auditors' Report included, corrected mistakes in Balance table (page 27)). According to the agreement No .L-ĀTA-12-1169 (project No. ĀTA/2.3.1.1.1./12/42/011) concluded on between „SAF Tehnika” JSC and government institution „The Investment and Development Agency of Latvia” of a project „Participation of „SAF Tehnika” JSC in international exhibitions”, on November 13-15, 2012 the company exhibited at “AfricaCom 2012” which took place in Cape Town, South Africa. 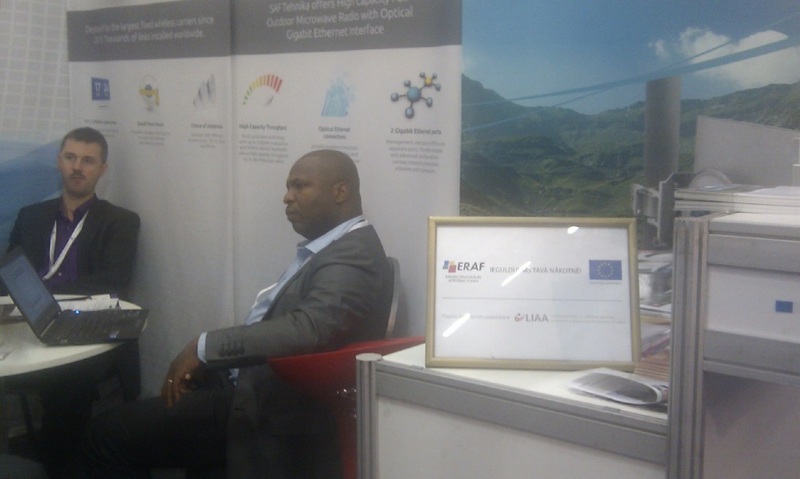 During the exhibition „AfricaCom 2012” there were presented all product lines of „SAF Tehnika” (booth #D6). 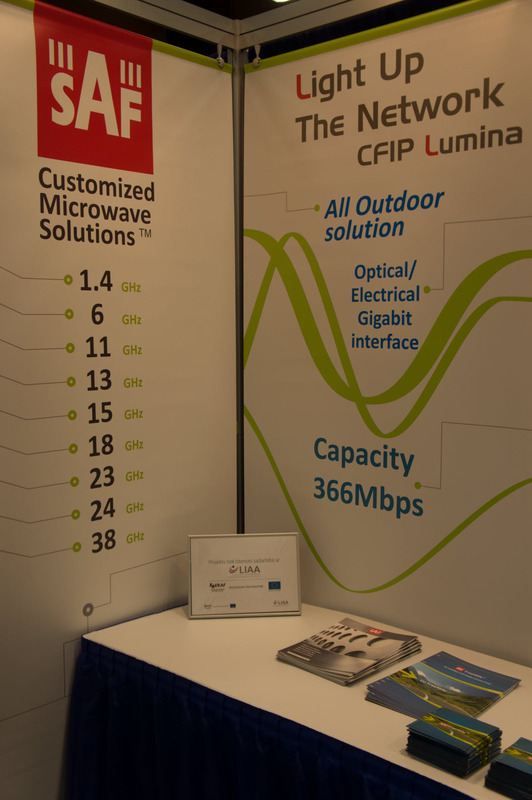 The biggest interest from visitors was shown about CFIP Lumina and Freemile 5.8 provided solutions for data transmission. Visitors of „SAF Tehnika” stand were mainly from Africa’s southern region countries. There are 11 (eleven) shareholders of JSC “SAF Tehnika” (hereinafter – company) participating in the shareholders meeting representing 54.51% or 1618923 (one million six hundred eighteen thousand nine hundred twenty three) shares with the right to vote. Share capital represented at the shareholders meeting amounts to 1618923 (one million six hundred eighteen thousand nine hundred twenty three). One share gives a right to one vote at the shareholders meeting. The subscribed and paid-up share capital amounts to LVL 2 970 180 (two million nine hundred seventy thousand one hundred eighty lats), which consists from 2 970 180 (two million nine hundred seventy thousand one hundred eighty) dematerialized bearer’s shares with the right to vote. Under the Article 269(2) of the Commercial Law shareholder’s meeting was convened by company’s management board by publishing an announcement according to the procedure prescribed by laws in force. 6. Authorization of the Supervisory Council to perform the tasks of Revision Committee. 1. Member of the Board of Directors A.Loite outlines the content of the report of the Board of Directors, replies on questions of share holders. Chairman of the meeting N.Bergs proposes to vote for the approval of reports of the Board of Directors and the Supervisory Council. Decided: Approve reports of the Board of Directors and the Supervisory Council for financial year 2011/2012. Decision adopted by 1618923 votes “for” and 0 “against”. 2. Chairman of the meeting N.Bergs proposes for Member of the Board of Directors A.Loite to outline the content of annual report and auditor’s statement respectively. Member of the Board of Directors A.Loite furnishes respective information to company’s shareholders. N.Bergs proposes to approve the annual report and to release the Board of Directors from responsibility for financial year 2011/2012. Decided: Approve the annual report and release the Board of Directors from responsibility for financial year 2011/2012. 3. Chairman of the meeting N.Bergs proposes to pay dividends in amount of LVL 0.10 (ten santims) par share or altogether LVL 297 018 (two hundred ninety seven thousand eighteen lats) (48% from financial year 2011./2012. profit), but the remaining profit ((52% or 320 822 LVL) from financial year 2011/2012 and retained earnings from previous financial years – altogether LVL 2 236 154 (two million two hundred thirty six thousand one hundred fifty four lats) – keep as company’s retained earnings. Decided: Pay dividends in amount of LVL 0.10 (ten santims) per share or altogether LVL 297 018 (two hundred ninety seven thousand eighteen lats) (48% from financial year 2011./2012. profit), but the remaining profit (52% or 320 822 LVL) from financial year 2011/2012 and retained earnings from previous financial years – altogether LVL 2 236 154 (two million two hundred thirty six thousand one hundred fifty four lats) – keep as the company’s retained earnings. Decision adopted by 1582857 votes “for” and 36066 “against”. 4. Chairman of the meeting N.Bergs proposes for Member of the Board of Directors A.Loite to express her view on the choice of the auditor for financial year 2012/2013. A.Loite informs participants of the share holders meeting about previous experience with auditors during audit of financial year 2011/2012 and proposes to appoint KPMG Baltics SIA as the auditor of the company for the 2012/2013 financial year. N. Bergs proposes to authorize the Board of Directors to agree upon auditors’ fee. Decided: Appoint KPMG Baltics SIA as the auditor of the company for the next 2012/2013 financial year and to authorize the Board of Directors to agree upon auditors’ fee. 5. Chairman of the meeting N.Bergs proposes to recall from the position of member of the Supervisory Council - Vents Lācars, Juris Ziema, Andrejs Grišāns, Ivars Šenbergs as of November 13, 2012. Decided: As of November 13, 2012 to recall from the position of member of the Supervisory Council Vents Lācars, Juris Ziema, Andrejs Grišāns, Ivars Šenbergs. Chairman of the meeting N.Bergs proposes to vote for Supervisory Council members all together. Decided: To vote for Supervisory Council members all together. Chairman of the meeting N.Bergs proposes to elect the Supervisory Council for a three year term in the following composition - Vents Lācars, Juris Ziema, Andrejs Grišāns, Ivars Šenbergs, Aivis Olšteins, by fixing beginning of term of office on November 13, 2012. Decided: To elect the Supervisory Council of joint stock company “SAF Tehnika” for a three year term in the following composition - Vents Lācars, Juris Ziema, Andrejs Grišāns, Ivars Šenbergs, Aivis Olšteins, by fixing beginning of term of office on November 13, 2012. 6. Chairman of the meeting N.Bergs proposes to authorize the Supervisory Council to perform the tasks of Revision Committee. Decided: Authorize the Supervisory Council to perform the tasks of Revision Committee prescribed in legislation. Shareholder’s meeting is declared to be closed on 13th November 2012 at 11:42 p.m.
1. Approve the reports of the Board of Directors and the Supervisory Council for financial year 2011/2012. 2. Approve the annual report and release the Board of Directors from responsibility for financial year 2011/2012. 3. Pay dividends in amount of LVL 0.10 (ten santims) par share or altogether LVL 297 018 (two hundred ninety seven thousand eighteen lats) (48% from financial year 2011./2012. profit), but the remaining profit (52% or 320 822 LVL) from financial year 2011/2012 and retained earnings from previous financial years – altogether LVL 2 236 154 (two million two hundred thirty six thousand one hundred fifty four lats) – keep as company’s retained earnings. The calculation date is 29th November 2012. The payment date of dividends is 6th December, 2012. 4. Appoint KPMG Baltics SIA as the auditor of the company for the next 2012/2013 financial year and to authorize the Board of Directors to agree upon auditors’ fee. 5. As of November 13, 2012 to recall from the position of member of the Supervisory council Vents Lācars, Juris Ziema, Andrejs Grišāns, Ivars Šenbergs. Shareholders’ meeting has elected the Supervisory Council for a three year term in the following composition Vents Lācars, Juris Ziema, Andrejs Grišāns, Ivars Šenbergs, Aivis Olšteins, by fixing beginning of term of office on November 13, 2012 following persons. 6. Authorize the Supervisory Council to perform the tasks of Revision Committee prescribed in legislation. SAF Tehnika's (further Group) non-audited net sales for the first quarter of financial year 2012/13 were 1.92 million LVL (2.73 million EUR), dropping by approximately one third compared to the first quarter of the previous financial year and also decreasing 11% from the previous reporting quarter of the current calendar year (Q4 FY 2011/12). The financial results can be attributed to the low industry’s activity during the previous and current reporting period as well as fierce price competition in the market with heavy product and business promotion investments made by most of the market players. The Asia, Middle East and African regions showed recovering signs posting an 11% increase from the previous reporting quarter of the current calendar year, however still reaching only 58% from the sales the Group enjoyed on the respective quarter of the previous financial year. Consequently the region contributed significantly (27%) to the total turnover generated during the reporting quarter. Although the European, CIS regions regular sales remained stable, due to lack of mid-to-large scale projects the year-to-year turnover decreased 14% or 0.09 million LVL (0.13 million EUR) meanwhile the general region’s industry inactivity during the summer period forced the turnover down by 48% compared to the previous reporting quarter. The sound position established in the Americas region where further invigorated as the Group continued active marketing activities and implemented specialized product promotions to re-vitalize the sales of CFIP Lumina products along with the already active sales of FreeMile product line. Consequently the sales increased by 43% or 0.25 million LVL (0.36 million EUR) compared to the previous reporting quarter of the current calendar year. Unfavorable USD to LVL, foreign exchange rates made a negative impact on the reporting quarter’s profits. By implementing a strategy of increasing footprint and local presence in specific target markets, the Group saw an increase in both marketing and operating expenses. The Group ended first quarter of 2012/13 financial year with a net loss of 120 thousand LVL (171 thousand EUR), which represents a decrease by 598 thousand LVL (851 thousand EUR) when compared to respective quarter of previous financial year where company posted profit. The Group is constantly progressing with ongoing research and development projects, designing next generation wireless data transmission devices. Further product launches are expected to be announced on the first half of 2013. Meanwhile company retains its focus on customizing existing solutions to better suit specific niche microwave radio customer requirements and considers offering additional network structure and performance consultations as well as managed services. Product quality, production efficiency and excellent client support will be centre of attention. SAF remains financially stable and capable to withstand periods of lower business activity. Meanwhile the further company’s sales results largely depend on external factors such as availability of production components, financing allocation in customer’s organization, and overall political and economical state in specific regions and markets, therefore the Board of the Group would like to avoid being specific in predictions of sales and financial result projections. According to the agreement No .L-ĀTA-12-1169 (project No. ĀTA/2.3.1.1.1./12/42/011) concluded on between „SAF Tehnika” JSC and government institution „The Investment and Development Agency of Latvia” of a project „Participation of „SAF Tehnika” JSC in international exhibitions”, on October 26-26, 2012 the company exhibited at “Wispapalooza 2012” which took place in Lasvegas, Nevada, US. During the exhibition „Wispapalooza 2012” there were presented all product lines of „SAF Tehnika”, as well as was given insight of microwave spectrum analyzer tool which will be available in market. (booths #206 and #208). The biggest interest from visitors was shown about the newcoming microwave spectrum tool. Visitors of „SAF Tehnika” stand were mainly from North America region. Please see at the attached file SAF Tehnika yearbook for FY 2011/2012. Net turnover of the SAF tehnika JSC in the 2011 / 2012 financial year was LVL 9.65 million (EUR 13.73 million) which represents a decrease by 11% comparing to the previous financial year. Export represented 96.16% of turnover amounting to LVL 9.28 million (EUR 13.21 million). During the reporting period the products of the Company were exported to 82 countries in the world, five of which received the products of SAF for the first time. Americas continue to demonstrate positive trends. Turnover of the region in comparison with the previous financial year increased by 10% reaching LVL 3.3 million (EUR 4.7 million) and representing 34% of the total Company’s turnover during the reporting year. At the same time, our turnover in Asia, Middle East and Africa decreased and revenue generated from the region represented only 28% of the total revenue of the Company. It may be explained by the fact that in 2011/2012 the Company did not have such large projects in this region as it did in the financial year 2010 / 2011; however, intensive cooperation with the existing and potential clients continued and there still was interest in the products of SAF Tehnika. The income generated from Europe and the CIS slightly decreased; nevertheless, the sales were material for the Company and amounted to 38% of the annual revenue. During the reporting year the Company continued developing its main product line in the licensed frequencies – CFIP where the main sources of income were CFIP Lumina and Phoenix, and CFIP Marathon, the product with the largest product niche potential, as well as the newest product line in the unlicensed frequencies – CFIP FreeMile. The non-consolidated financial result for SAF tehnika of 2011 / 2012 was a profit of LVL 618 thousand (EUR 879 thousand) representing 77% of the profit of the previous year. The audited consolidated financial result for SAF tehnika of FY 2011/ 2012 was a profit of LVL 608 thousand (EUR 865 thousand). SAF Tehnika AS has retained financial stability. The audited net cash flow of the SAF tehnika for 12 months was positive and amounted to LVL 174 thousand (EUR 247 thousand). The strategy of SAF Tehnika AS has not changed. The Company continues working on a number of research and development products focusing on the development of new next generation microwave data transmission equipment and improvement of the functionality of the existing products in order to adapt them to specific requirements of the niche clients. SAF Tehnika has proved itself to be a financially stable company capable of surviving market fluctuations; however, the results of the next periods will largely depend on external factors such as investments in client networks as well as the situation in global economy. Attached are the Audited annual Non- consolidated and Consolidated reports as well as the report of Corporate Governance. Draft resolutions of ordinary shareholder's meeting on 13th of November of SAF Tehnika JSC can be found in pdf document seen below. The 29th November 2012 is the planned account date on which the list of those holders of financial instruments will be fixed who will be entitled to dividends. Since September 2012, clients in the African region have been offered a wider range of services at the new premises of SAF Tehnika JSC in Lagos, Nigeria. Besides the new office, the company has also introduced a service centre, a regional warehouse, and a training site for West and Central Africa partners and clients. 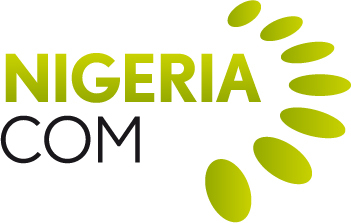 The new SAF Tehnika’s office was opened during the annual exhibition “NigeriaCom 2012” in September, and has already been positively evaluated by clients. The company has been represented in West Africa since 2004. „The expansion of our presence in this region is a very important step towards the best service. We will be even more accessible, efficient, and closer to the current and potential partners and clients, providing high-quality solutions for wireless data transmission,” admits Janis Ennitis, Marketing and Sales vice-president of SAF Tehnika. There is a showroom of SAF Tehnika’s products in Lagos office. Moreover, a new training site is established, which will be available for employees of partners from the African region. More than 25 specialists have already attended trainings in the first month, and such workshops will be provided in the future. The fully equipped products for wireless data transmission (those which are used most frequently in Africa) along with corresponding spare parts will be available in the warehouse. It will allow ensuring quick fulfillment of orders. The office will provide technical support, as well as it will serve as a meeting point for current and potential customers. The new office is located in a modern business centre (alongside with the headquarters of other large companies) in the capital of Nigeria (address: 6B Adeleke Adedoyin street, Victoria Island, Lagos, Nigeria). The site is easily accessible also for partners and clients from other countries. In the third quarter of this year, SAF Tehnika participated in the process of establishing the SAF Services company in the North American region (Denver, Colorado, USA). The aim of this company is to provide local customers with services of creating data transmission networks. As microwave radio market trends prove it, the services of network planning, construction, and long-term maintenance are in great demand. SAF Tehnika JSC is an ISO, FCC, Industry Canada, Broadband Stimulus (RUS / NTIA) certified manufacturer of wireless data transmission equipment. The company’s products are produced in Latvia, Europe, and are sold in over 100 countries worldwide. SAF Tehnika has been listed on NASDAQ OMX Riga since 2004 (code NASDAQ:SAF1R). Draft resolutions of ordinary shareholder's meeting on 10th of November of SAF Tehnika JSC can be found in pdf document seen below. The 28th November 2011 is the planned account date on which the list of those holders of financial instruments will be fixed who will be entitled to dividends. According to the agreement No .L-ĀTA-12-1169 (project No. ĀTA/2.3.1.1.1./12/42/011) concluded on between „SAF Tehnika” JSC and government institution „The Investment and Development Agency of Latvia” of a project „Participation of „SAF Tehnika” JSC in international exhibitions”, on October 15-16, 2012 the company exhibited at “cnX6” which took place in Frankfurt, Germany. During the exhibition „cnX6” there was presented „SAF Tehnika” CFIP product line (booth #5). The biggest interest from visitors was shown about CFIP Lumina and Phoenix M products. Visitors of „SAF Tehnika” stand were mainly representatives from European telecommunication companies. On October 8, 2012 „SAF Tehnika” JSC and government institution „The Investment and Development Agency of Latvia” concluded agreement No. L-ĀTA-12-1169 (project No. ĀTA/2.3.1.1.1./12/42/011) regarding implementation of the project "Participation of "SAF Tehnika" JSC in international exhibitions" co-financed by European Regional Development Fund. Project expenses estimate altogether - 79.6 thousands LVL. 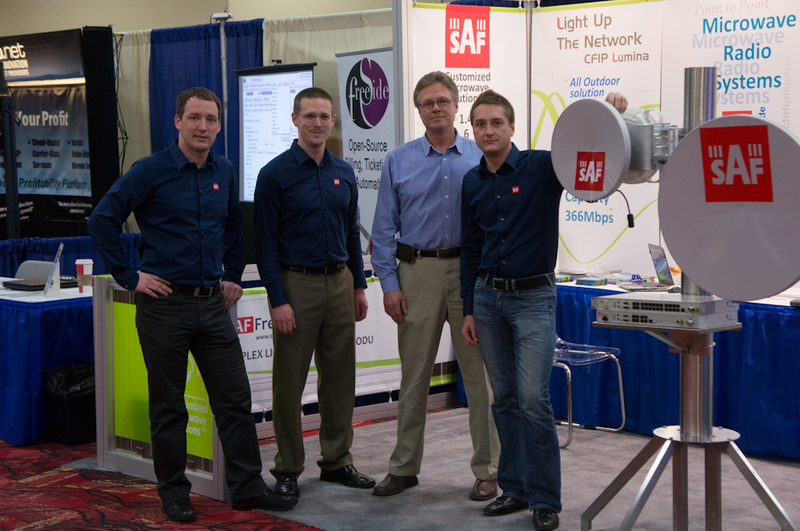 • CTIA Wireless 2013, May 21-23, 2013, Las Vegas, USA. According to the agreement No .L-ĀTA-12-1169 (project No. ĀTA/2.3.1.1.1./12/42/011) concluded on between „SAF Tehnika” JSC and government institution „The Investment and Development Agency of Latvia” of a project „Participation of „SAF Tehnika” JSC in international exhibitions”, on September 26-27, 2012 the company exhibited at “NigeriaCom 2012” which took place in Lagos, Nigeria. During the exhibition „NigeriaCom 2012” there were presented all product lines of „SAF Tehnika” (booth #7). The biggest interest from visitors was shown about CFIP Lumina, the same as about optical interface supplied solutions for data transmission. Visitors of „SAF Tehnika” stand were mainly from Africa region, particularly Nigeria. The Board of Directors of “SAF Tehnika” JSC (Reg.No.40003474109, legal address: 24a, Ganibu dambis, Riga, LV-1005, Latvia) informs that it convenes a regular shareholders’ meeting on 13th November 2012 at 11.00 a.m., at “SAF Tehnika” JSC meeting room (24a, Ganibu dambis, Riga, Latvia). 4. Appointment of the auditor for the year 2012/2013. 5. Election of the Members of the Supervisory Board. Shareholders and their representatives can submit draft decisions regarding the issues of the agenda to be discussed on the shareholders meeting until 19th October 2012 at “SAF Tehnika” administration (Ganibu dambis 24a, Riga, LV-1005) every working day from 9.00 a.m. to 5.00 p.m. Draft resolutions on the issues of the agenda to be discussed on the shareholders meeting will be published on 30th October 2012. Draft resolutions will be available also on company’s webpage www.saftehnika.com, as well as at “SAF Tehnika” administration (Ganibu dambis 24a, Riga, LV-1005) every working day from 9.00 a.m. to 5.00 p.m.
Only persons or entities which are shareholders on the date of record will be entitled to participate in the shareholders’ meeting. The date of record is 5 November 2012. Registration of participants will take place at the venue on the day of the shareholders’ meeting – on 13th November 2012 from 10.30 a.m. until 11.00 a.m. Representatives of shareholders at the registration have to show a power of attorney witnessed by a notary or a power of attorney legally equal to that and passport or other verifying document. The template of the power of attorney is available on company’s webpage https://www.saftehnika.com/investors/corporate-governance/documents. Evaluating the results company achieved on financial year 2011/2012 (ended on June 30, 2012) and also recognizing the high level of employees’ loyalty, their salary level, contribution towards the achievement of company’s results and taking into account situation in the labor market, the board of ”SAF Tehnika” JSC decided to pay out premiums to the company’s employees. The total gross amount allocated is 124 thousand LVL (176 thousand EUR) which include both the gross premium and required employers’ social tax contributions. Expenses will be attributed to financial year 2011/2012 therefore consolidated, non-auditioned financial results announced on August 8, 2012 will be adjusted. Following this the company’s adjusted non-auditioned, consolidated profit for financial year 2011/2012 is 607 thousand LVL (864 thousand EUR). The audited results of the Company’s financial year 2011/2012 will be published in October in compliance with the schedules laid out in the regulating legislation. "SAF Tehnika" AS informs that on the 30th August 2012 it has received notification that SEB Asset Management has decreased its holding in "SAF Tehnika" AS share capital on 28th August 2011 retaining in a posession 123 773 or 4,17% of "SAF Tehnika" AS share capital. AS SAF Tehnika has been selected as supplier for major broadcasting and internet access infrastructure project in Brazil. The project encompasses deployment of more than 500 SAF Tehnika CFIP microwave radio units, to ensure high quality digital signal transmission throughout several regions of Brazil. Project will be implemented in several stages, first of which planned to commence this autumn whereas the final deliveries could be made by the end of 2013. Financial details will not be disclosed. SAF Tehnika's non-audited net sales for the forth quarter of financial year 2011/12 were 2.16 million LVL (3.08 million EUR), showing an 8% increase comparing to the respective reporting quarter of the previous financial year. Although the telecommunications market continues to experiences fierce price competition, the positive result can be attributed to the Company’s ability to acquire new middle scale projects along with the steady regular business in markets SAF is present. Similar to previous reporting quarter of the current financial year Europe, CIS region continued to post the best results accounting for 51% of the sales volumes. Besides the company showed that it has established a sound position in the Americas region where sales remained at the same level as in the previous reporting quarter of FY 2011/12. The production of CFIP Lumina products in Brazil has reached planned optimal levels and it is now assured that the strategic decision of establishing the manufacturing arrangement in the perspective and protected market proves to be successful as the acquired local producer status and recognition already begins to generate increased interest in SAF products in Brazilian market. The Company’s 2011/12 financial year’s 12 month unaudited net turnover was 9.64 million LVL (13.71 million EUR), which represents a 12% year-to-year decrease. The Company ended fourth quarter of 2011/12 financial year with a net profit of 149 800 LVL (213 147 EUR), which represents an improvement by 237 048 thousand LVL (337 290 thousand EUR) when compared to respective quarter of previous financial year where company posted loss. Meanwhile the Company’s’ unaudited consolidated net profit for the 12 months of 2011/12 financial year was 719 927 LVL (1 024 364 EUR). The general strategy of SAF Tehnika is not changing, the Company is constantly progressing with ongoing research and development projects, concentrating both on designing next generation wireless data transmission devices, as well as customizing existing solutions to better suit specific niche microwave radio customer requirements. Although the market outlook is mostly neutral, due to continuous uncertainty in the global financial situation and telecommunication market the Board of the Company would like to avoid being specific in predictions of sales and financial result projections. On September 21, 2011, SAF Tehnika JSC and the Investment and Development Agency of Latvia (LIAA) signed the agreement No. L-ĀTA-11-0724 (Project No. ĀTA/2.3.1.1.1./11/29/028) on implementing the project "Participation of SAF Tehnika JSC in International Exhibitions" co-funded by the European Regional Development Fund. The total project cost was LVL 76 279.21. By participating in exhibitions, the company had its goal to promote the export of high value-added solutions as regards digitalicrowave equipment, as well as to enhance the company's brand awareness across Europe, Africa, and North America. In general, the company successfully participated in exhibitions at the turn of the year 2011 and the beginning of 2012, acquired over 350 new contacts, and met a lot of current partners and prospects from Europe, USA, and other regions of the world. During exhibitions, SAF Tehnika presented novelties from the variety of its products and services, as well as showcased the existing active and highly favoured wireless data transmission equipment solutions. The company also provided individual consultations regarding products and their availability, and advised on opportunities for potential cooperation. This year SAF Tehnika introduced a new product SAF FreeMile 5.8 GHz MIMO at the Europe's largest IT&T tradeshow CeBIT 2012, which attracts thousands of interested visitors from around the world to Hannover each year, as well as announced a unique five-year warranty to all CFIP Lumina full-outdoor radios sold in Europe. The announcement of the exclusive warranty for North-American customers was unveiled almost two months later - during the CTIA Wireless 2012 show that took place on May 8-10 in USA, along with presentations of license-free products like SAF FreeMile 5.8 GHz MIMO and SAF FreeMile 24 GHz FODU. It should be noted that owing to the unique warranty provided for microwave equipment in North America and Europe, products manufactured by SAF Tehnika have a significant advantage in the saturated market of wireless data transmission equipment. On the whole, the most interest at exhibitions is attracted by SAF FreeMile and CFIP product lines, for example, SAF FreeMile FODU, CFIP Lumina and CFIP -108 FODU. The company will keep on participating in international exhibitions, since it is a wonderful opportunity to expose oneself in a saturated competitive market, to evaluate the performance of other manufacturers, to find out the industry news, and to enjoy personal meetings with customers in professional environment. 07.11.2012 - Non-audited financial results of FY 2012/13 for Q1. 06.02.2013 - Non-audited financial results of FY 2012/13 for Q2 and 6 months. 08.05.2013 - Non-audited financial results of FY 2012/13 for Q3 and 9 months. 14.08.2013 - Non-audited financial results of FY 2012/13 for Q4 and 12 months. According to the agreement No. L-ĀTA-11-0724 (Project No. ĀTA/2.3.1.1.1./11/29/028) concluded on the 21st of September 2011 between SAF Tehnika JSC and government institution The Investment and Development Agency of Latvia regarding the implementation of a project "Participation of JSC SAF Tehnika in international exhibitions", on March 27-30, 2012 the Company exhibited at ISC West 2012 which took place in Las Vegas, and from the 8th - 10th of May at the CTIA Wireless show 2012, held in New Orleans, LA, USA. A public security & safety expo ISC West 2012 took place in Las Vegas on March 27 - 30. The event usually draws public security officials from around the world and since the exhibition was introduced, attendance by public security officials has risen by 40%, making ISC West a perfect opportunity to network with colleagues and connect with other security professionals. SAF Tehnika exhibited there in a specially desgined booth #4132 with the aim to promote its highly reliable, efficient point-to-point solutions for the most challenging locations and security applications. The most interest was attracted by CFIP Lumina and CFIP-108 full-outdoor radios - the equipment supporting high-bandwidth security applications that require assured performance and guaranteed bandwidth. SAF Tehnika's stand was well-attended mostly by end users from North and South America markets. During the CTIA Wireless 2012 show, alongside the demonstration of the newest product novelties like SAF FreeMile 5.8 GHz MIMO and SAF FreeMile 24 GHz FODU, an exclusive 5 year warranty for all CFIP Lumina radios was announced. Representatives of SAF Tehnika welcomed all in a spacious SAF Tehnika's booth #5119 and just like the previous years it was well-attended all days by current partners and customers, and prospects, who showed the interest either in products or in the exclusive 5 year warranty. SAF Tehnika sadarbībā ar Latvijas IT klasteri īsteno Eiropas Reģionālās attīstības fonda līdzfinansēto projektu „Latvijas IT uzņēmumu attīstība ārvalstu tirgos", kura mērķis ir veicināt projektā iesaistīto partneru izstrādāto IT nozares produktu eksportu ārvalstīs. Projekts tiek īstenots 2. darbības programmas „Uzņēmējdarbība un inovācijas" apakšaktivitātes 2.3.1.1.1. „Ārējo tirgu apgūšana - ārējais mārketings" ietvaros. Projekta identifikācijas numurs ĀTA/2.3.1.1.1/11/34/045, ar v/a „Latvijas Investīciju un attīstības aģentūra" noslēgtā līguma numurs: L-ĀTA-12-0907. The Company’s non-audited net sales for the third quarter of financial year 2011/12 were 2.15 million LVL (3.05 million EUR), showing a 23% decrease comparing to the respective reporting quarter of the previous financial year. The Company’s 2011/12 financial year’s 9 month unaudited net turnover was 7.47 million LVL (10.63 million EUR), which represents a 16% year-to-year decrease. Both Europe, CIS and Asia, Africa and Middle East regions has shown a reduction in total turnover, whereas the Americas region continues to shown positive trends by showing a 33% year-to-year increase in revenue amounting 2.72 million LVL (3.87 million EUR), comprising 37% of the total the Company’s turnover. The European customers have shown continuous appreciation for quality of equipment produced in European Union and the sales from the region summed up to 34%. Meanwhile the Asia, Africa and Middle East regions respectively captured 29% from the total revenue. Company ended the third quarter of 2011/12 financial year with a net profit of 25 thousand LVL (36 thousand EUR), which is by 293 thousand LVL (416 thousand EUR), lower than in respective quarter of previous financial year. The main reason for such decrease in profit has been the diminished volume of sales and margins earned. Meanwhile the Company’s’ unaudited net profit for the 9 months of 2011/12 financial year was 570 thousand LVL (811 thousand EUR). A very fierce competition is experienced in the microwave segment. SAF Tehnika continues to follow the approved strategy of maintaining competitiveness through constant technology development and delivering customized solutions that directly meets the customer’s needs. SAF tehnika sees substantial business perspectives both in Brazilian as well as Arab Gulf state markets that are expected to yield returns in the near future. The Company will continue strengthening local presence in these and other target markets, following the positive indications of such activities already performed in North American market. Due to uncertainty in the global financial situation and telecommunication market the Board of the Company cannot provide certain prognosis for sales figures and operational results despite positive results of the reporting quarter. According to the agreement No. L-ĀTA-11-0724 (Project No. ĀTA/2.3.1.1.1./11/29/028) concluded on the 21st of September 2011 between JSC "SAF Tehnika" and government institution "The Investment and Development Agency of Latvia" regarding the implementation of a project "Participation of JSC SAF Tehnika in international exhibitions", SAF Tehnika exhibited at CeBIT 2012 which took place from 6th till 10th of March in Hannovere, Germany. From the 6th till 10th of March SAF Tehnika exhibited at CeBIT 2012, the leading annual event dedicated to the ICT industry bringing together market leaders and top decision-makers worldwide. This year SAF Tehnika unveiled two major announcements. One was a new unlicensed product SAF FreeMile 5.8 GHz and another was the industry's first 5 year warranty to all CFIP Lumina full outdoor radios company sells in Europe. SAF Tehnika booth Nr. C28 was well-attended and many contacts were gained for future cooperation. It should be noted that visitors showed the most interest in SAF FreeMile and CFIP series products. The booth was well visited by customers from Europea and Middle East, as well as by SAF partners from all Europe. The Company's non-audited net sales for the second quarter of financial year 2011/12 were 2.44 million LVL (3.47 million EUR), showing a 18% decrease comparing to the respective reporting quarter of the previous financial year. This directly reflects the scarcity of financing options for telecommunications development projects globally as well as the trend of overall price decrease due to the growing competition in the market. The Company's 2011/12 financial year's 6 month unaudited net turnover was 5.33 million LVL (7.58 million EUR), which represents 87% of the revenue generated in the respective period of the previous financial year. The revenues reduced in Europe, CIS and as well as Asia, Africa and Middle East regions, whereas the Americas region has shown a significant positive trend with total 6 month turnover doubling to 2.12 million LVL (3.01 million EUR), comprising 40% of the total the Company's turnover. Meanwhile the sales revenue from Asia, Africa and Middle East region summed up to 33%, European and CIS regions respectively 27% from the total revenue, which further illustrates the strategic importance of Americas region. Establishing a USA subsidiary SAF North America, significant investments in SAF brand and product recognition, further development of partner network, turnkey solution services introduction and SAF designed product manufacturing in Brazil are the activities that are expected to yield returns in the future. Company ended the second quarter of 2011/12 financial year with a net profit of 67 527 LVL (96 083 EUR), which is by 226 thousand LVL (322 thousand EUR), or four times lower than in respective quarter of previous financial year. Company's' unaudited net profit for 2011/12 financial year's 6 months was 545 146 LVL (775 673 EUR). SAF is financially stable and capable to withstand economical turmoil in the situation when others fail. The results in the near future still mainly depend on how successfully the company reaches the customers which are interested in its particular product proposal. The goal of the Company is to continue focus on development of next generation wireless data transmission devices, strengthening local presence in target markets, customer satisfaction and provide an excellent product quality which is already recognized in the market. This strategy together with right product mix and services will sustain company long-term operations and drive future development more independently for general conditions in the market segment.